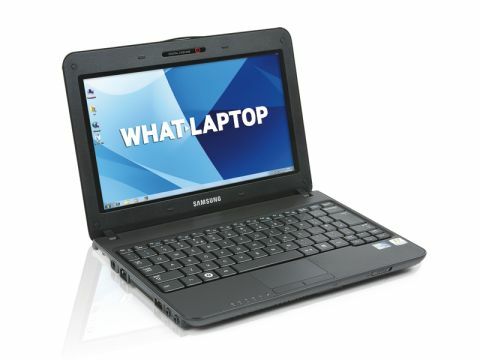 Samsung's netbook range has always impressed us, and the NB30, boasting semi-ruggedised features, is no different. It's ideal if you're looking to buy a machine for your child or simply want greater protection for your data. The netbook features a hard drive with a freefall sensor. This detects when the machine has been dropped and docks the drive heads in a bid to minimise the damage to your data. This could prove very useful in the hurly-burly of a classroom environment. The netbook is also resistant to spilt liquids and features a smart scratch resistant skin which not only protects the machine's components, but also means it doesn't suffer from the scratches and scuffs shinier machines quickly collect. The 10.1-inch screen has a 1024 x 600-pixel resolution which is sharp and bright, and there's no shiny Super-TFT screen coating causing irritating reflections in bright light. Build quality is excellent and, at 1.3kg, it's a very light machine, making it suitable for small children to carry to and from school and between classrooms. The keyboard uses a design common to Acer laptops, whereby each key stands above the chassis. It provides one of the most intuitive typing experiences around. Intel's new Atom N450 chip provides the NB30's processing power, and you'll find enough performance for running office applications with ease. A benefit of Intel's latest processor is the extended battery life it provides. Samsung claims to have achieved an impressive 11 hours of battery from one charge, and during benchmarking we managed just less than ten hours. Other features include a webcam for video chatting on the internet, Bluetooth, 802.11n Wi-Fi and even a USB port which can charge your peripherals even when the netbook is switched off. We like what the NB30 has to offer. The semi-rugged features are still relatively rare on a netbook, and will prove to be a real selling point for many.